There’s something about chocolate, graham crackers and marshmallows that gets me every time. I have never done a s’mores inspired dessert before though, now I can cross it off my baking bucket list! 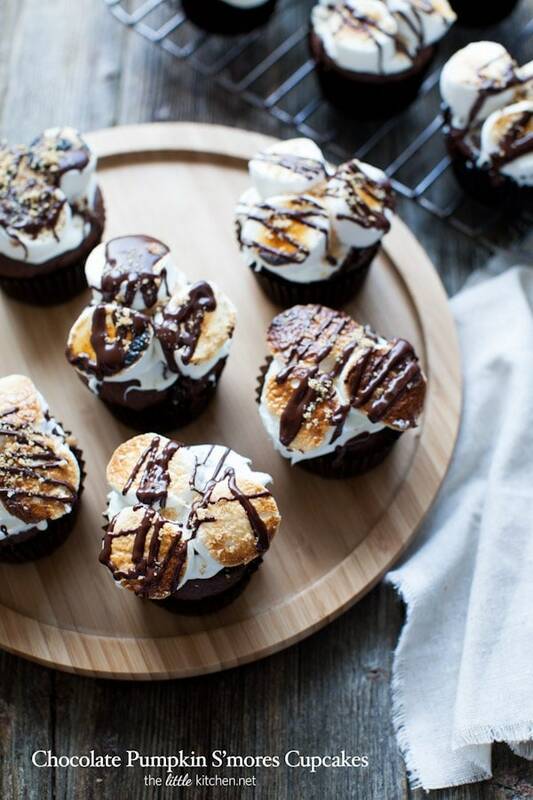 I’m thrilled to be working with Campfire® Marshmallows and showing you how to make these wonderful Chocolate Pumpkin S’mores Cupcakes! I love how versatile their marshmallows are and the different varieties they have (fruit flavored, yes please and minis to giant roasters!). You can barely taste the pumpkin in these cupcakes, the chocolate overwhelms it…but the pumpkin makes these cupcakes super moist! First start out by crushing graham crackers. 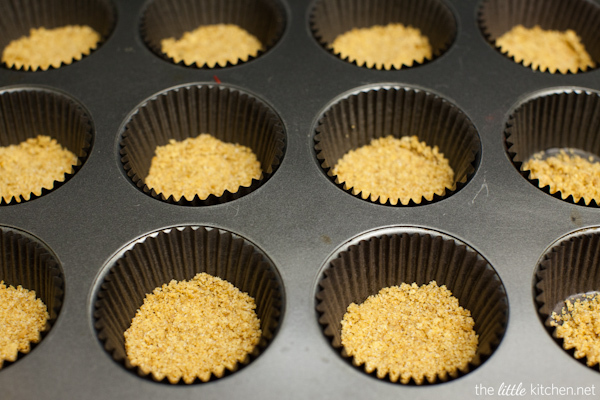 These cupcakes have a little graham cracker crust on the bottom! 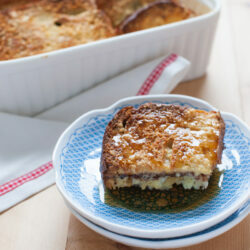 Mix in melted butter and sugar. I often have to use my hands in this step to get them fully incorporated. 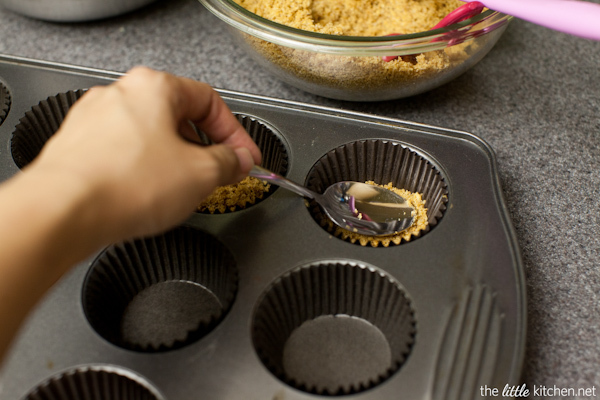 Add two teaspoons graham cracker mixture to the bottom of each cupcake liner. Flatten out with the bottom of a spoon and bake for about 5 minutes. Put together the cake batter. 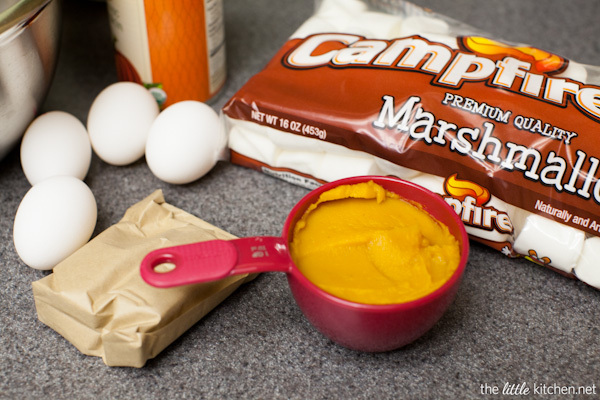 Blend together the canned pumpkin, eggs, vanilla extract, water and vegetable oil. 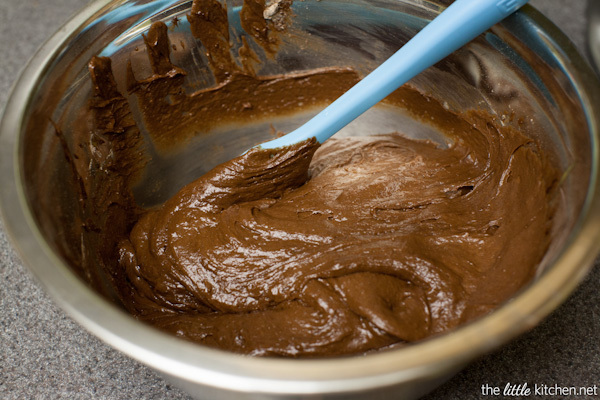 Then, add the devil’s food cake mix and chocolate pudding packet and beat together with an electric mixer. 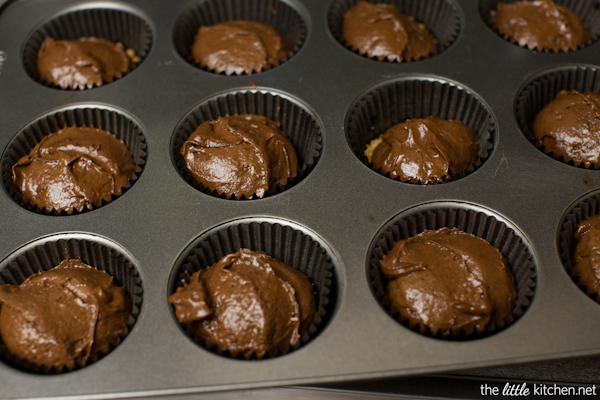 Scoop out 3 Tablespoons of batter using a cookie scoop and pour into the cupcake liners. All done and ready for the oven! After they come out of the oven, allow them to cool on a baking rack. I broiled the marshmallows in the oven and used a torch on some of them. They turned out better from the oven but they are messier to deal with. Toasted marshmallows for the win! These cupcakes are amazing, I know you’ll love them and they are great for a Fall dessert for your holiday party or even great year-round! 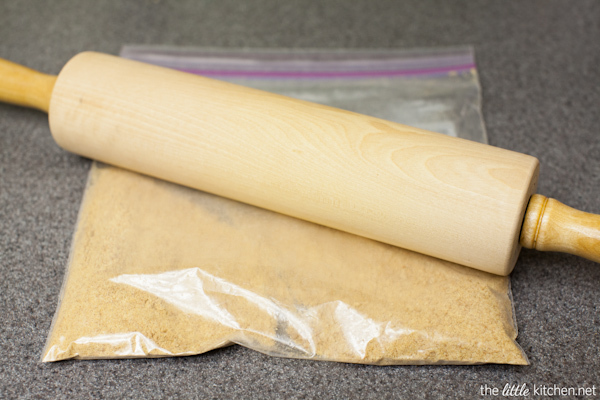 Bake the graham cracker crusts in the oven for about 5 to 6 minutes. 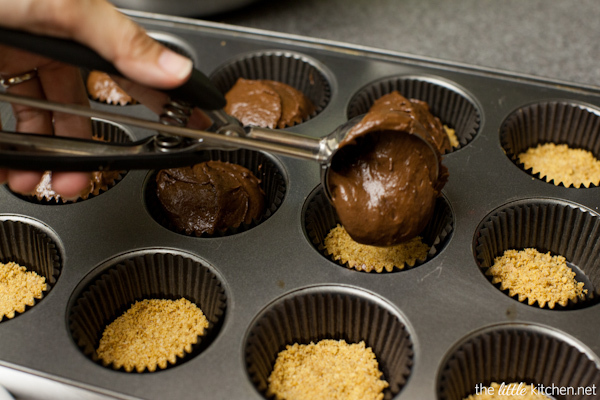 Remove from oven and allow to cool while working with the cupcake batter. 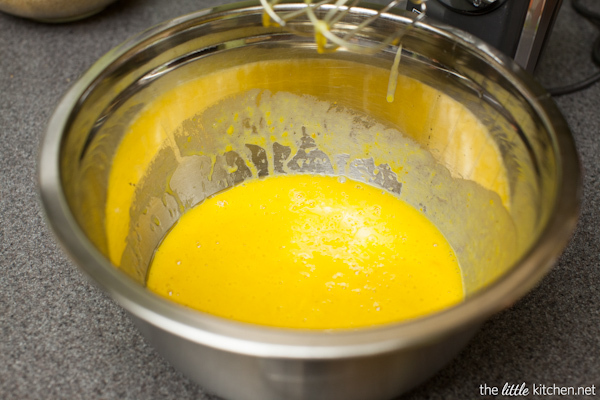 In a large mixing bowl, add canned pumpkin, vegetable oil, eggs, water and vanilla extract and mix together thoroughly with an electric mixer. Add sugar, cake mix and pudding mix and mix again but be careful not to over mix. Use a rubber spatula to scrape the sides and bottom of the bowl. 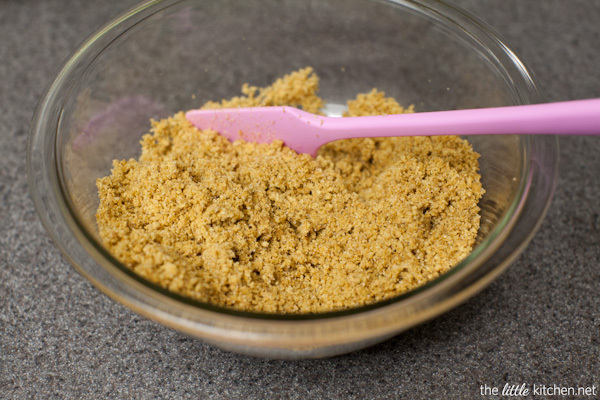 Use a large cookie scoop (three tablespoons) to portion batter into the liners on top of the graham cracker crust that's already been baked. 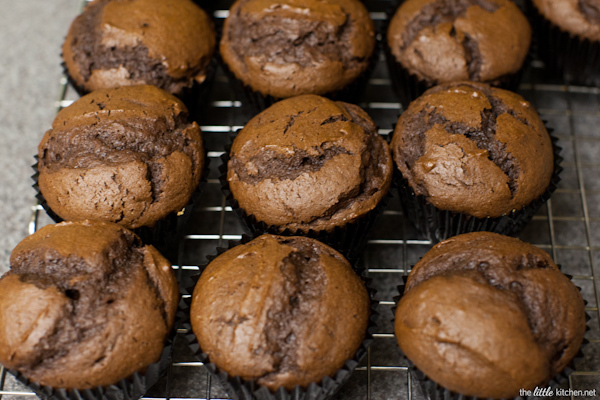 Bake cupcakes for 19 to 20 minutes at 350 degrees F. Once done baking, allow to cool on a baking rack. Add chocolate squares and shortening to a small microwave safe bowl. Microwave on 50% power in 30 second increments to melt. Mix between increments. 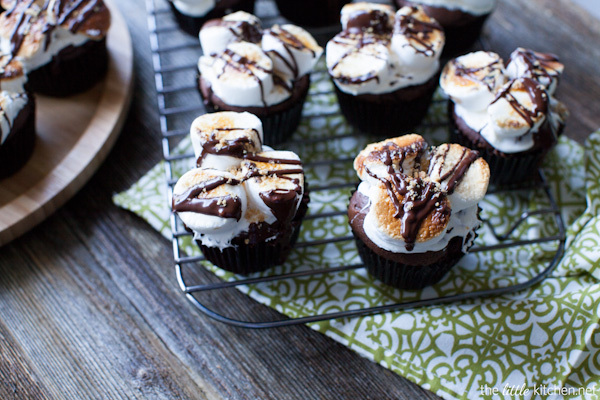 Once cool, spread a little bit of frosting on each cupcake and work on the marshmallows. See below. Cut marshmallows in half and place on a cookie sheet that's lined with parchment paper with the cut side UP. Broil in your oven for 1 minute (watch closely or they may burn). My oven broils at 550 degrees F and I moved the oven rack the second spot from the top. Broiling them in the oven turned out the best (the best looking marshmallows but if you have a torch, it's actually easier). 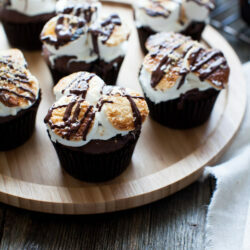 Remove marshmallows one by one and place three halves on each cupcake. If you have a kitchen torch, you can torch them! I found that torching the cut side is best. Be careful not to burn your marshmallows although some people like them "burnt" for their s'mores! Use a spoon to drizzle chocolate over the marshmallows and sprinkle leftover graham cracker crumbs on top. Notes: If you're not going to decorate the cupcakes the same day you make them, be sure to store them in an airtight container overnight. Disclosure: This post is sponsored by Campfire® Marshmallows, all opinions are my own and I only work with brands that I love. 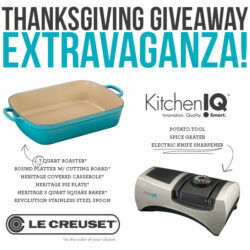 There’s an affiliate link in this post. Oh my gosh these look SO DIVINE!!! I must make some!! Oh man. I’m a sucker for ANYthing smores! And I love how you broiled the marshmallows in the oven! Whoa love this! I’m one of those weirdos that likes burnt marshmallows, but I’ll take them any way! Wow! These look so fun and yummy! I need to try them soon! Just like Amy says, I LOVE burnt marshmallows too 🙂 Very nice, thanks for sharing! These look fantastic! Gorgeous pictures. I just love the big puffy marshmallows on these! So pretty! Oh my these cupcakes look divine!!! And the toasted marshmallow puts them over the top! Where have these cupcakes been all my life? S’mores? Chocolate and Pumpkin?! YUM!!! these bad boys look awesome!! These look so chocolately and perfect!! 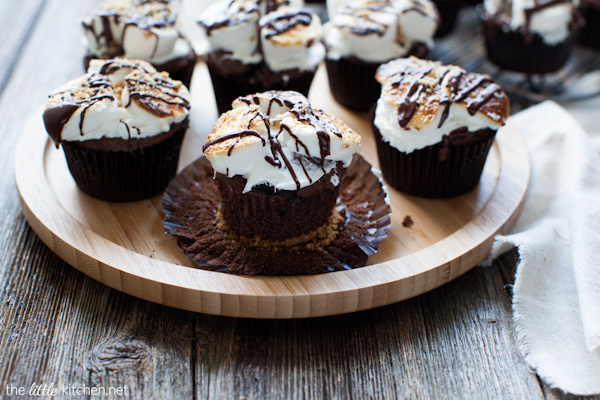 I love the s’mores topping on these cupcakes, so fun! Oh my, do these look amazing! Love everything about these. What a fun creative recipe Julie! Loving the pumpkin you added and those toasted marshmallows look scrumptious! I love the pumpkin addition. 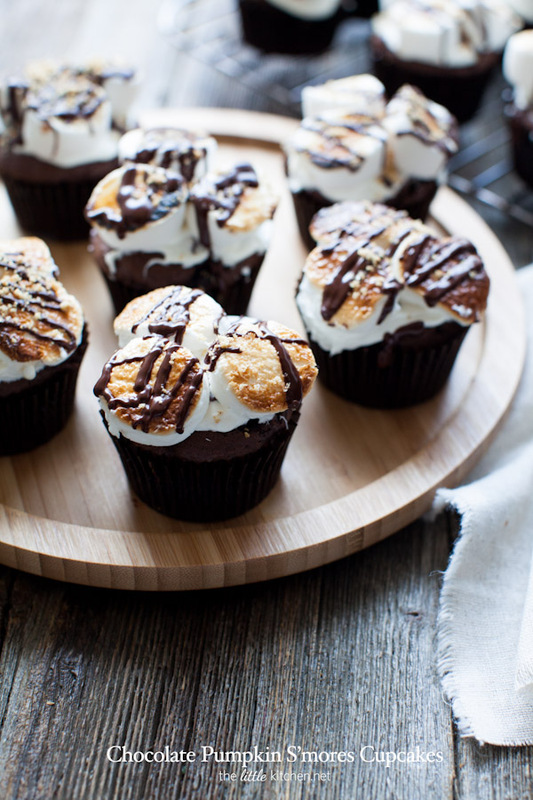 And I’d eat most anything with marshmallow – LOVE these! These look off the charts! Definitely excited to be enjoying s’mores all year long with these babies! Love the fall twist with the pumpkin! These cupcakes are absolutely gorgeous!!! This look and sound amazingly yummy! You outdid yourself with these cupcakes, Julie. What a fun dessert! Oh wow, how delicious!!! These would be so dangerous in my house! I love how you incorporated pumpkin into these! They are so cute too. These look absolutely gorgeous and I’m sure they’re delicious too!! woah these look insane!! I bet people would go crazy for these, especially served warm! I love this idea!! I think Ill be whipping these up on the weekend!